NEW YORK, December 8 -- After most big banks and even many non-banks have already drawn down their bailout funds from the government's Troubled Assets Relief Program, there's belated interest in Congress in what banks have been doing. Monday afternoon on the Senate floor, Byron Dorgon of North Dakota expressed shock at Wachovia's purchase and lease-back of German sewer system, just so it could use the depreciation of the German pipes to avoid its U.S. taxes. 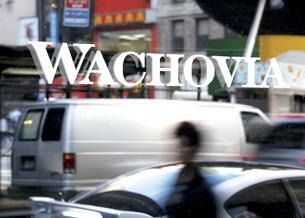 Now that Wachovia is being bought -- by Wells Fargo and not as Washington wanted Citigroup -- is it easy to finally criticize it and its outgoing management. But how about Citigroup and its entrenched officials Robert Rubin andVikram Pandit, who right after its second bailout serving spent eight billion Euros buying the highway business of Spanish construction firm Sacyr Vallehermoso? The TARP program is full of abuses. Focus only on some pending ones, the conglomerate PHH says it is applying for TARP funds, without owning any bank or thrift. Its application is not even on the Office of Thrift Supervision's website. Nor, on the Federal Reserve's website, can any notice be found for the applications of GMAC and CIT. Inner City Press and Fair Finance Watch have written to both agencies about these disappearances, and for the TARP-related applications of Lincoln and The Hartford, among others. Both are trying, like the subprime servicer Ocwen, to buy small banks in order to get TARP funds. If a having Utah industrial loan company charter triggers eligibility, watch out. The bailouts and favors are being doled without without any public comment, or even public notice. And on Capitol Hill they belatedly speak about two year old abuses, rather than the fresh ones of today, which could still be stopped. And so it goes in DC.